India’s police leaders and policy makers need to understand how acts of vandalism on Valentine’s day are a reflection of what is fundamentally wrong with our police today. Time for fear to stalk hearts that beat with love and longing. Time for the memories of humiliation and harassment in the name of moral policing to haunt those who commit the “crime” of dating. Time for the looming threat of abuse and assault to strike again. Another Valentine’s day is upon us and young men and women across India will risk head shavings, face blackening, public thrashings and forcibly solemnised marriages – all in the name of saving our impressionable youth from the wicked influence of sinful Western culture and its notions of romantic love. Politically-connected petty criminals claiming to be self-appointed protectors of India’s ancient culture will be out chasing young men and women in card shops, parks, hotels, restaurants and shopping malls, threatening them, abusing them, ransacking private and public property on the watch of the police. Even Kerala, often held as one of the more progressive states in terms of the standard of policing, is not immune to this. Somewhere, gift shops selling Valentine’s day merchandise will be vandalised and forced to shut down. Somewhere, boys will be married off to donkeys for spending the day with their girlfriends. Somewhere, young unmarried couples will be dragged from restaurants and given a public thrashing. More often than not, more predictably than not, more tactically than not, the typical police action will vary from absolute inaction to taking people into preventive custody to imposing Section 144 of the Criminal Procedure Code in order to proscribe any public show of affection tantamount to obscenity in colleges and schools, public or private. Balmatta, Mangalore, Karnataka, 2009: The Sri Ram Sene (SRS), or ‘Lord Rama’s Army’, created headlines in January after its members chased, slapped and kicked young women drinking at a bar in Mangalore, Karnataka. Again, on Valentine’s day, its members barged into a pub, Amnesia – The Lounge, at Hotel Woodside, and beat up a group of young women and men a few weeks before Valentine’s day, claiming the women were violating traditional Indian values. Two of the women were hospitalised. The video of the incident later became one of the most watched clips on YouTube, thanks to the TV crew that happened to be ready at the ‘unannounced’ attack. “Our activists will go around with a priest, a turmeric stub and a ‘mangalsutra’ on February 14. If we come across couples being together in public and expressing their love, we will take them to the nearest temple and conduct their marriage,” Sene leader Ram Muthalik had said then. Agra, Uttar Pradesh, 2009: A group of men attacked and used scissors to cut the hair of three young couples in a park near the Taj Mahal on Valentine’s day. Pune, Maharashtra, 2009: Two couples were stopped by Shiv Sena activists and forced to “marry” on the spot by exchanging flower garlands. Palakkad, Kerala, 2017: A young man who was attacked, filmed and targeted with a video on social media by moral vigilantes on Valentine’s day, was later found hanging outside his home. 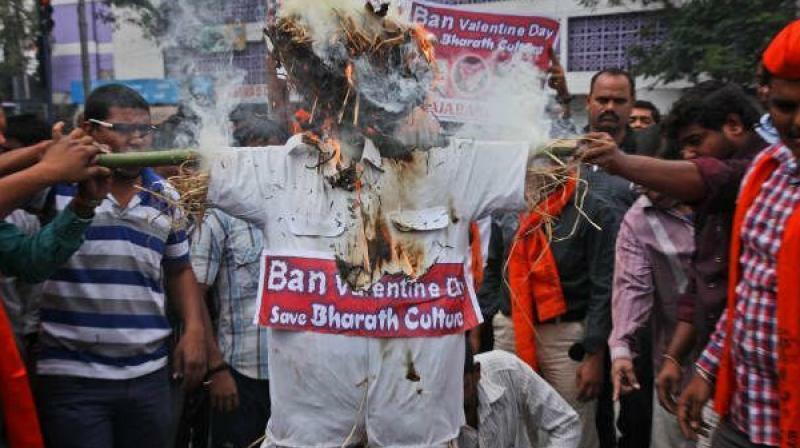 A suicide note was found in which he cited the harassment on Valentine’s day as the reason for taking the extreme step. The vigilantes threatened and videotaped the man and his woman friend, asking the woman humiliating questions and circulated the video on social media. They allegedly tried to molest her and when the man stepped in to defend her, he was attacked. The Kerala police were left red-faced after another couple from Thiruvananthapuram live-streamed their exchange with two constables after they were accused of indecency. A couple who had met at a park in the Kerala capital, were harassed, questioned and fined exactly a week after Valentine’s day. Away from panel discussions on news channels and Powerpoint presentations in conference halls, India’s police leaders and policy makers need to understand how the acts of vandalism on Valentine’s day are a reflection of what is fundamentally wrong with our police today. Here are two of the most important issues. One, the rule of law versus the role of law. Governance, of which policing is a part, involves the realm of the political, of which the political economy is a part, as well. Any discussion on the rule of law system in India must take into account the role of power and politics in the day-to-day functioning of constitution-mandated institutions at the Centre and in the states. In other words, we must reflect on how power structures (including the neighbourhood political ecosystem) perpetuate poor governance (including law enforcement) and legitimise unresponsive institutions (including the police) and turn democracy into majoritarian rule. We need to accept the importance of the political economy of policing in understanding why our police officers fail to uphold the laws of the land. In 2013, as per the data collected by the Bureau of Police Research and Development (BPR&D), almost 80% of superintendents of police (SPs) in districts across the country got transferred within two years of their tenure in a district. More than 50% got transferred in less than a year. Uttar Pradesh has been the worst offender in terms of transferring officers before their two-year tenure is complete. Even officers senior to SPs are not immune to this transfer industry. In 2013, 114 range DIGs faced transfers within a year of their tenure. As many as 48 were transferred within two years. Since postings and transfers take place according to the whims and fancies of the ruling dispensation of the day despite the Supreme Court directives in the famous Prakash Singh case, it is only logical that police officers will go out of their way to accommodate the illegal political and economic demands of their political masters based on vote bank politics. As a result, the rule of law makes way for the dictates of politics. This is one of the main reasons why we see so many communal incidents happening every year across the country – 8,449 communal incidents resulting in 7,229 deaths and 47,321 persons injured in a brief span of 1954 to 1985. In 2015, 97 deaths were reported and another 2,264 people were injured in 751 communal incidents. In 2016, 86 people were killed and 2,321 others were injured in 703 incidents of communal violence. In 2017, 111 people were killed and 2,384 injured in a total of 822 communal incidents across the country. In 2017, Uttar Pradesh topped the list, reporting 195 communal incidents in which 44 people were killed and 542 others were injured. Karnataka is second in the list, reporting 100 communal incidents in which nine people were killed and 229 injured. Rajasthan came third, recording 91 communal incidents wherein 12 people were killed and 175 injured. Bihar is fourth on the list with 85 communal incidents reported in 2017 which claimed three lives and injured 321 others. Madhya Pradesh is fifth, reporting nine people killed and 191 injured in 60 communal incidents. West Bengal is sixth, with 58 incidents of communal violence that killed nine people and left 230 injured. (c) how their own cultural sensibilities and individual attitudes affect the ways justice is administered on the streets. The way the police exercise discretion influences the extent to which they are trusted or not, feared or not, welcome or not. There is an urgent need to codify police discretion in order to make policemen and policewomen accountable for their conduct on the street and beyond. Though minimising police discretion in a blanket manner would be ill-suited to a political order valuing individuals’ freedom, we need to appreciate the importance of accountability and reasonableness in police conduct, given the extent of trust deficit between the police and the members of the public. These two issues – the rule of law versus the role of law and absence of codification of police discretion – need to be addressed in order to lift our law enforcement machinery out of the present mess. 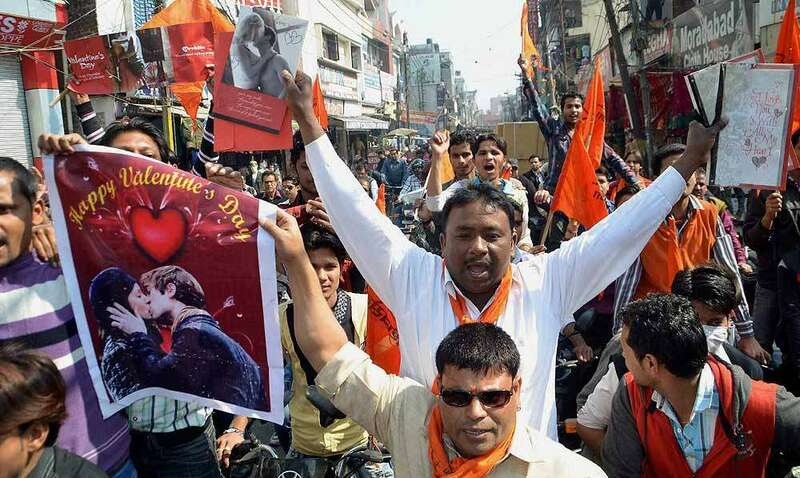 Otherwise instances of mob justice on Valentine’s day every year will continue to be an example of the mainstreaming of thuggery in the guise of moral policing, abetted by politicians irrespective of their party affiliations. 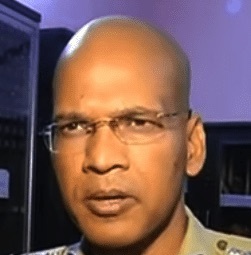 Basant Rath is a 2000 batch IPS officer who belongs to the Jammu and Kashmir cadre. Views expressed are personal.